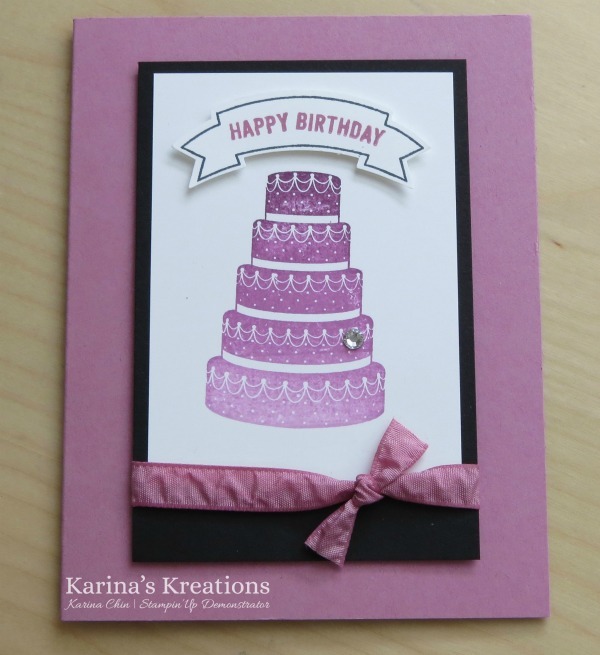 Karina's Kreations: Stampin'Up Summer Sorbet Sneak Peak! Stampin'Up Summer Sorbet Sneak Peak! Stampin'Up has a fun new stamp set coming out June 1 called Summer Sorbet. It's designed to work with the new Ombre ink pads. I designed this card using Rich Razzleberry Ombre ink pad and paired it with the Sweet Sugar Plaum card stock and matching runched ribbon. I also used the new Thoughtful Banners stamp set and Duet Banner Punch. This has has so many greetings!!! I hope I have inspired you to come to my Catty Kickoff Party/ Buy One get One Free sale on June 3 9:00-3:00 and June 4 10:00-2:00. You could these items for FREE. I'll have a special draw for online orders too!